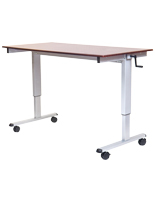 These height adjustable mobile desks feature a 47.25" x 29.5" tabletop with an attractive dark walnut finish. 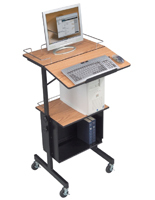 This type of stand is made of steel and features an alterable design that uses a crank. 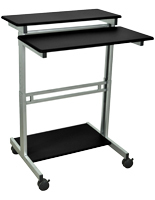 The mobile desks features (4) locking wheels that makes them easy to move, and they can also be fastened for extra stability. 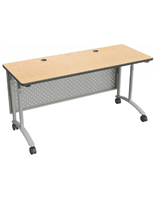 The steel tables feature a crank that allows their height to range from 29" to 42.8" high. 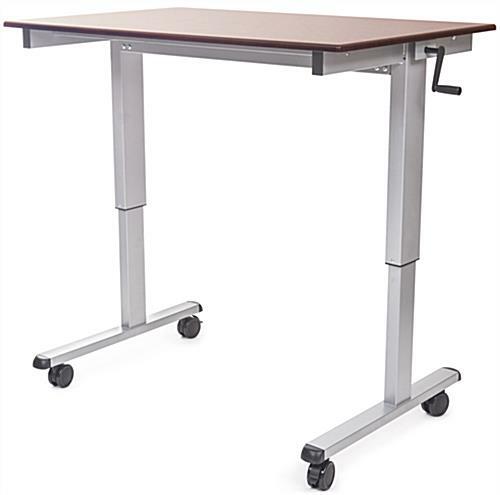 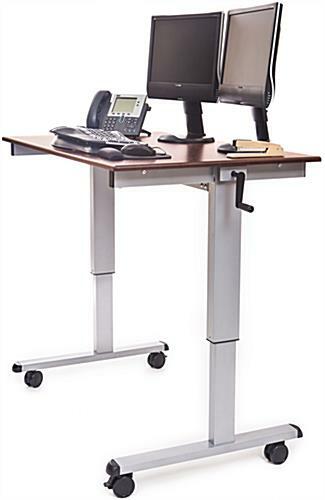 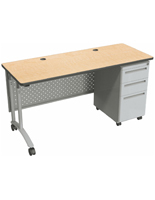 The desk stands with locking wheels are a great investment because of their ergonomic design and sturdy fabrication.